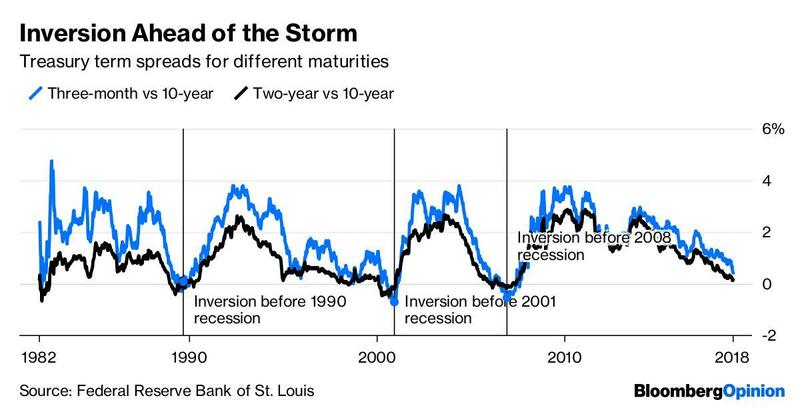 ... it also feeds directly into every Wall Street recession model: the more inverted it is, the higher the odds of a recession. 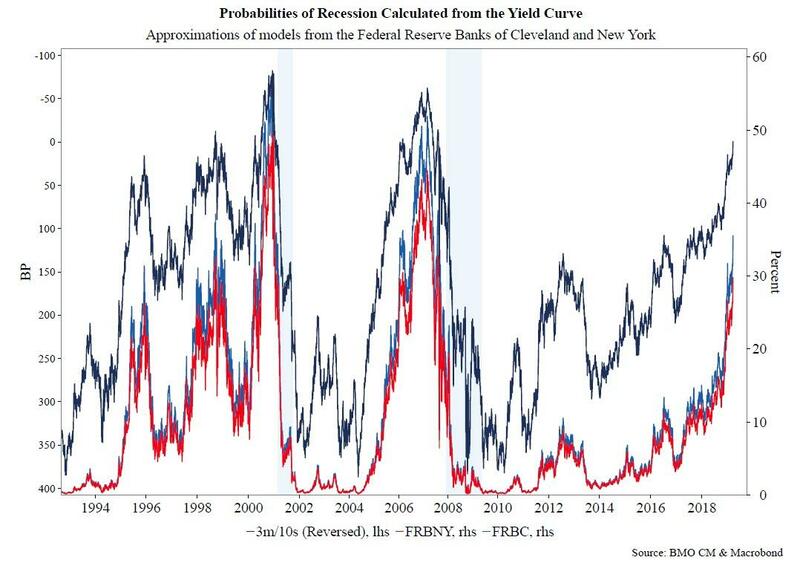 Case in point: as the chart below from BMO shows, recession odds are surging, and are now the highest since the last recession. The key takeaways, according to BMO's Jon Hill, are that: 1) these models show only ~30% chance of contraction in the next year, but 2) they never show more than ~55% probability suggesting that the relative odds of a recession in the next 12 months are now greater than half and 3) the chances of a recession by end-2020 would be much higher. In other words, while the NBER will be fashionably late as usual to declare when the recession officially started, if one is guided by the yield curve, the US is now effectively contracting, which also means that the current expansion, which would need to hit June without a recession to become the longest on record, will most likely end up as the second longest of all time.